Welcome home to Paso Terrace. This gated community is a small enclave of distinctive luxury homes tucked away from the crowds, but yet so close to all the exciting shops and restaurants downtown has to offer. 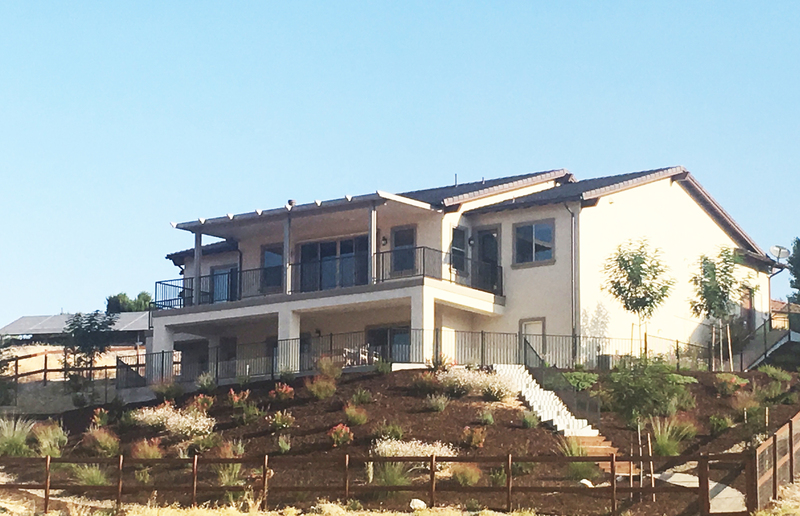 This nearly new home lives like a single level with the Master Bedroom, Living Room, Dining Room and Kitchen all on the top (entry) level. The 3 car garage with direct access, the laundry room and a 4th bedroom/office along with a ¾ guest bath are on this level also. There is a generous sized covered deck that has relaxation written all over it, especially with the peaceful views that abound on the main level. Downstairs you’ll find 2 auxiliary bedrooms, a spacious family room/den a nicely appointed secondary bath and an awesome wine cellar. Don’t forget to check out the storage under the stairs and the optional wine storage room. Head out back on this lower level and check out the expansive concreted storage room. There is also a large concrete patio (partially covered) for additional entertainment and a fully fenced, fully landscaped yard. All the major expenses have been taken care of on this one. There is a tankless water heater with a hot water re-circulating system installed. The home has a fire sprinkler system installed for safety. Numerous upgrades are found throughout this spacious home with just under 3,000 square feet of living space. This is the peaceful country setting you’ve been looking for within the City limits! Backs up to open space.